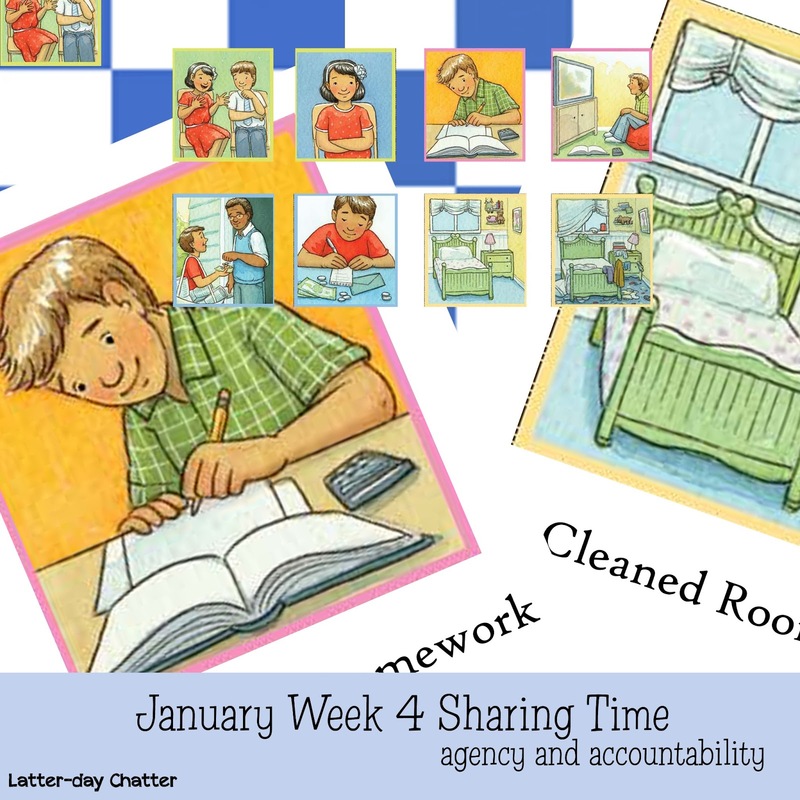 Time to pull out your poster board again for a fun little game for this week's Sharing Time. It's a cross between a "Candyland" type game and Checkers. First you'll need to print out the checkboard pages, I've put them onto 8.5x11 pages for easy printing, you'll need about 8 to fit and glue onto a standard poster board. Also print out the 8 "scenerios" and then glue it onto the checkerboard where ever you'd like I would tape or contact paper over the checkerboard to avoid any rips or tears. You'll need some gems or something as the "checkers", the dollar store has the little gems that'll work great. You'll also need some magnets to keep all the pieces and poster on the board. I've also included in the download blow ups of each of the little pictures so that all the kids can see.